In this post from 2015, I talked about something new I was trying at my school. 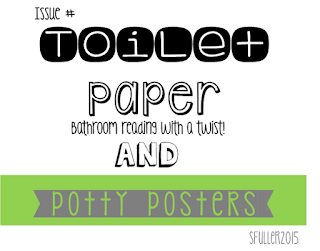 Toilet Paper and Potty Posters!! Over the past few years, these have proven to be such an effective way to communicate with my STAFF. Click below to read that post from 2015! 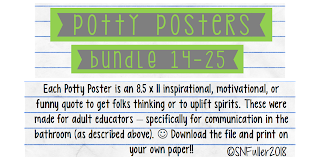 I wanted to share with you some of the Potty Posters I created - to get you started! You can find the two bundles below - they are only $2 each. You download and then print them out on 8.5 x 11 paper or send to a local printer for printing. Click on the pictures below to purchase. Enjoy all the positive comments you will receive! 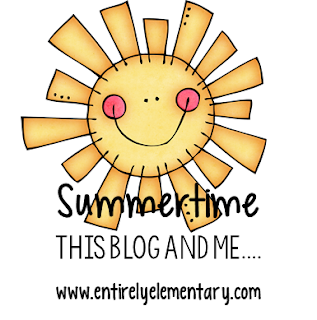 It's summertime - my time of the year where all else quiets down and I can really think about the things that are important to me. I've been so enjoying alone time with my dog, FUN time with my nieces and nephews, and time with my family and friends (many breakfasts and lunches to visit). Honestly, is it me, or does this summer seem to be flying by unusually quickly? It's been a rainy week here and I've been able to settle for a bit and do some reflecting. 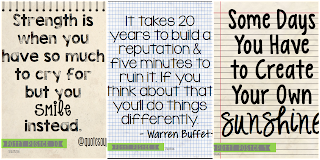 I have been thinking about this blog....and how I haven't posted in quite some time - but have a bunch of ideas, materials and tools I want to share with all of you. Yet, I feel like I say this every summer and then the school year starts and all else gets in the way! I've been thinking about this past year and how time was fleeting and life took over. I've been thinking about completing my application for RAMP before this summer is up. 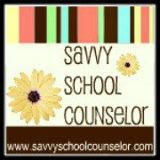 I've been thinking about my time over the past two years as president of our local school counselor organization, time spent on numerous district committees, and time advocating for the role of the school counselor. I've been thinking about my goals and ideas for the year to come. I've been thinking about how excited I am to have a new working window in my office and how I raised the legs on my computer desk so my long legs can now fit underneath. The things I get excited about in an urban district...pathetic really! I've also been thinking about how I hope to conquer the school/work AND life/health balance this year...I MUST. I WILL. 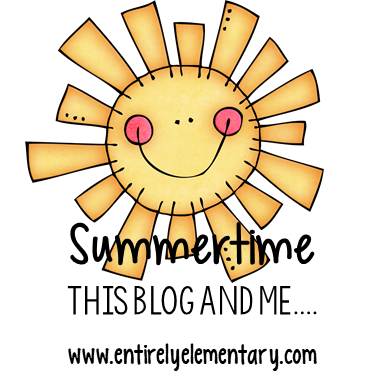 This blog has been such a wonderful tool to build professional connections - collegiality and friendships. I've felt so blessed to have been able to share my thoughts, experience, and ideas with all of you. It has given me a greater sense of purpose...my reach and impact has grown beyond my school walls. Over the past five years, there has been such a wonderful growth for our field in the number of quality bloggers, Facebook pages, Twitter participants and materials on sites like Tpt. I've been so inspired by all I continue to read, all with whom I "chat" with and communicate with. The ideas....geez....they blow me away! I'm also so thrilled to hear of the excitement of new folks just starting in our field and the graduate students I teach each summer as they head out to their internships. Nonetheless, I find that this blog and my blog's Facebook page suffers when things get busy and as I attempt to balance work and home life. That said, I'm not ready to give it up ...so, I will be easy on myself and post when I can and when I'm moved to do so. I think part of me wants to be sure I'm posting QUALITY ideas and materials - I've been around the block long enough to know that not all that I come up with is quality....it serves a purpose, sometimes it's a quick answer to a need...but doesn't meet MY usual standards. And if it doesn't....it will not be shared with all of you. Hopefully all of you will hang in there with me and continue to read along when it's time for me to share with all of you. 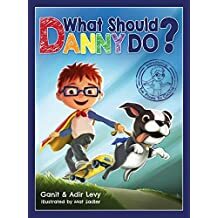 Book Recommendation: What Should Danny Do? As a part of our SWPBIS program in our school, weekly, students earn Fun Friday minutes and monthly, they earn the school-wide incentive. Students must earn a predetermined percentage of greens, blues and purples for that month. We have a different school-wide incentive each month and the students who do not earn the incentive earn a character lesson with me! Every month, I find myself scrambling for lessons and activities that are meaningful for each grade level's character lesson. I always feel like the lesson/activity needs to be a healthy balance between "not too fun" because they didn't earn the incentive and "fun enough" to keep the kiddos engaged! I say scramble because no matter how well-planned I am, after compiling the SWPBIS data for the whole school on the day before the incentive, I'm ready to go home exhausted! Nonetheless, I get home and examine the composition of my character lesson groups, then develop a lesson that makes the most sense for them. The week before Winter Break came and there I was, again trying to figure out what the lesson would be. If you are an elementary educator, you know how difficult it is to contain the kiddos' excitement during the week before the holiday break! So, I decided to give myself a break and "just" read a book this time around. Sometimes I read a book, but I always have an activity to go along with it. Not this time! From my book collection, I pulled a brand new book I purchased this fall and have been waiting for the right time to use it. What Should Danny Do? written by: Ganit and Adir Levy was the perfect choice for December's Character Lessons!!! THE KIDS LOVED LOVED LOVED THIS BOOK!!! As a kid, I was always drawn to the choose your own ending chapter books and as an elementary school counselor, I have used the book Bully on the Bus by Carl Bosch in lessons many, many years ago. I have been searching for years for a choose your own ending picture book! One day, What Should Danny Do? popped up on my Facebook page and I bought it literally 10 minutes later! The story-line is about the choices Danny makes during a day at home and the consequences of those choices (positive and negative). As I read, periodically my students were asked to choose what reaction Danny should have to the situation. What should Danny do? 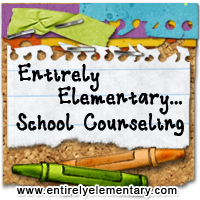 The first time through the kids were really adamant about making the "right" choices, but the school counselor in me took them back to the beginning to make the "poor" choices so they could see those consequences as well. This is where the learning happened. I was completely amazed by how much they connected to the story-line and how they began to predict what the consequences may be. By doing this, they were able to remember back to the "right" choice and were able to have really thoughtful discussions about the two very different paths for each dilemma that popped up. I can't wait for the authors to come out with a school specific book! No doubt about it, I would recommend you run out and buy this book. You will love it, your students will love it, and through your discussion points, they will learn so very much!! Clicking on the picture or link above will take you to Amazon (these are affiliate links). Follow the authors on Facebook....sometimes they offer deals (this is how I got my book). This circled green container was my nemesis each and every school day morning for my 19 year career. It contained all of my "cards" I used for games, discussions, class lessons, group sessions, etc. Thrown in the box, the cards were either bundled up with rubber bands, separated in Ziploc baggies, or clipped together. 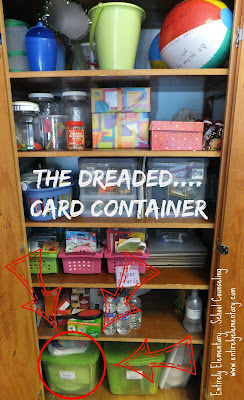 Everyday, as I was gathering my materials for that days' activities or the next days' events, I had to practically empty out this container to FIND the cards I was looking for. Not only was it frustrating to search for what I needed, it was such a huge waste of my time. For a few years I've been thinking about a better system of organizing all of these cards -- there HAD to be a better way! I needed something to make this daily chore easier and quicker for me! 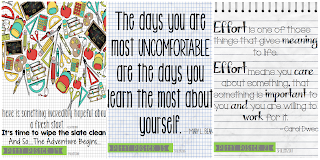 Then I came across a post from Lucky Little Learners - in which she talked about organizing her infamous Brag Tags. She introduced me to these Iris Extra Large 4x6 Photo Keepers and it was like an "Ah-Ha" moment for me. I am not kidding you, I was so happy to see this product...these containers were going to organize all of my CARDS!!!! Gone with the dreaded card container, gone with the daily searching and frustration! I set-out to find the containers. If you click on the photos, you will find them at Amazon.com. They are a bit pricey - so shop around. They can also be found at Michael's and at JoAnn's Fabric and Craft Store. The multi-colored ones are super fun, but the clear containers are just as nice. I find the Iris containers sturdy and stack beautifully. 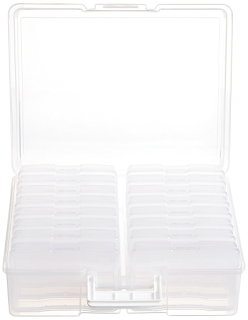 Inside the large container are smaller 4x6 containers which will hold each set of your precious school counseling cards. Make sure you figure out how many card sets you have first....when organizing, I had so many more card sets than I thought in that green box. Some were tossed and some were saved to be used again. But, I filled up these containers quickly! As I was organizing all of the cards, I found that I had some cards that were too large to fit in these smaller 4x6 containers. Iris has some other options for your bigger materials. 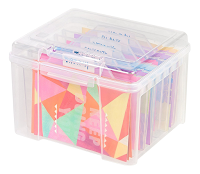 There is a container that holds 5x7 boxes inside and there is also a greeting card organizer. 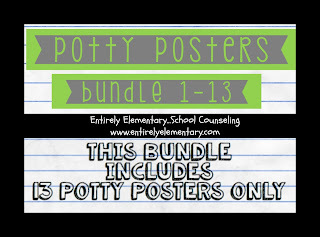 Both of these would be perfect for organizing the larger sized school counseling cards you have in your closet! Again, I find them sturdy and perfect for doing the job they were meant to do! 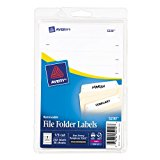 Finally, I purchased some removable file folder labels to clearly label which cards are inside each little container. This is a job I will be doing when I return to school in the August. I decided on removable so that I could easily change out the labels in the event that I decide to retire some cards. 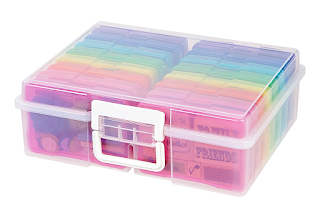 Looking to get yourself a little bit more organized this school year? Treat yourself to these Iris Photo Keepers - you won't be sorry! © Susan Fuller and Entirely Elementary...School Counseling, 2015. The ideas, created materials, and names of those materials belong to Susan Fuller and Entirely Elementary...School Counseling. Unauthorized use and/or duplication of this material without express and written permission from this site's author and/or owner is strictly prohibited. This would included creating materials which are similar or exact replicas of those presented here and selling them for profit or distributing them for free. Excerpts and links may be used, provided that full and clear credit is given to Susan Fuller and Entirely Elementary...School Counseling with appropriate and specific direction to the original content. S. Fuller is a participant in the Amazon Services LLC Associates Program, an affiliate advertising program designed to provide a means for sites to earn advertising fees by advertising and linking to amazon.com. © Copyright 2013 Entirely Elementary School Counseling. All Rights Reserved. Powered by Blogger.